Productoverview preparation of subfloors | Forbo Eurocol Nederland B.V. Whether walls and floors are finished with carpeting, wall coverings, ceramic tiles or natural stone, a good end-result always begins with proper surface preparation. Under the motto 'the strong connection', Forbo Eurocol Nederland B.V. offers a broad range of primers, damp proof membranes, repair mortars and levelling products to achieve this goal. Forbo Eurocol Nederland B.V. has a fitting solution for every situation! Forbo Eurocol Nederland B.V. provides a broad range of primers, ensuring you will find a suitable product for every possible surface. Suitable damp proof membrane is available if remaining moisture in stony subfloors needs to be sealed off due to a damp-sealed floor covering. 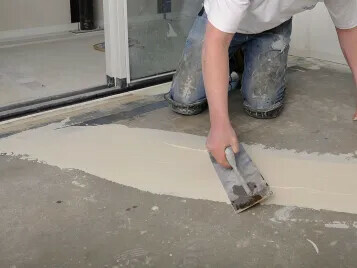 For quick repairs - large and small - to subfloors and walls, we provide a variety of quick-setting cement-bound and plaster-bound repair mortars. 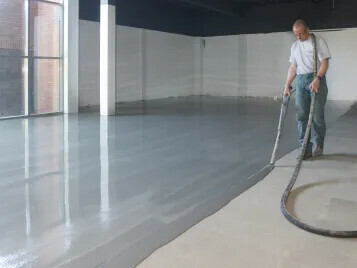 The Forbo Eurocol Nederland B.V. range is certain to contain the right product for levelling any type of wall or floor. We provide bespoke solutions for every surface.